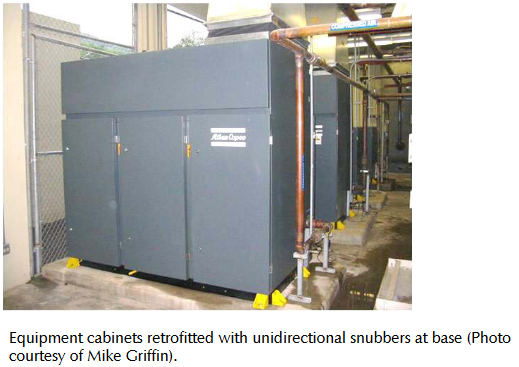 This category includes tall, narrow floor-mounted electrical items in sheet metal cabinets such as electrical control panels, motor control centers, switchgear, and substations. Overturning or sliding due to lack of anchorage or inadequate anchorage. 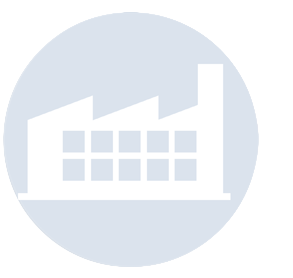 Loss of function due to failure of internal components caused by inertial forces.Damaged electrical equipment may cause electrical hazards and fire hazards. 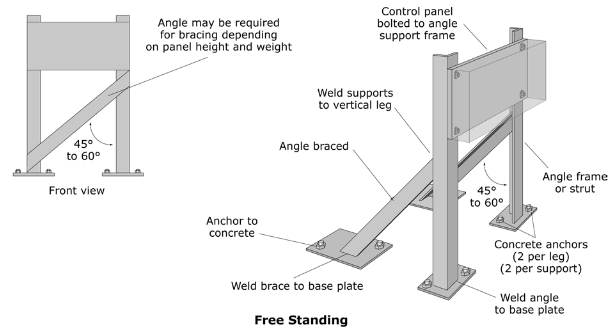 Many of these components can be supplied with shop welded brackets or predrilled holes for base or wall anchorage. 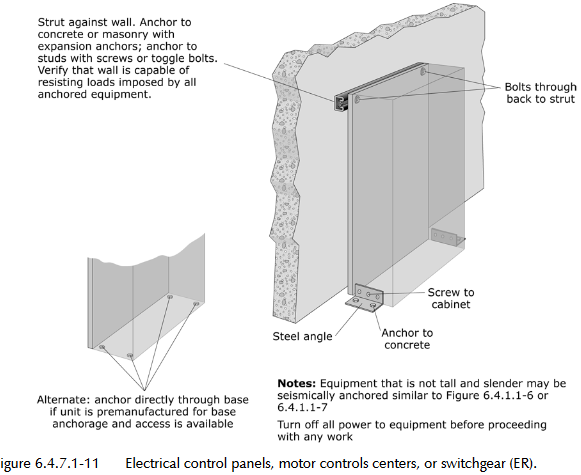 For any new equipment, request items that can be supplied with seismic anchorage details. For additional base anchorage details. 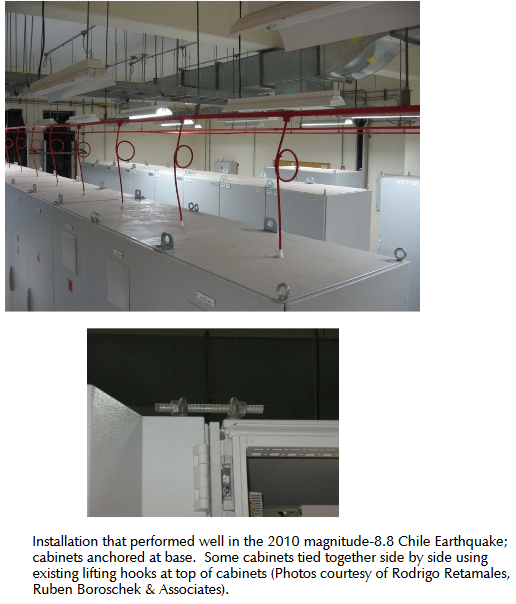 Refer to FEMA 413 Installing Seismic Restraints for electrical Equipment (2004) for general information on seismic anchorage of electrical equipment.